France is the sixth largest economy in the world and houses nearly 40 of the world’s 500 largest companies. In fact, the country holds some of the largest insurance, airline, cosmetic, luxury, and energy companies. These attributes make it one of the most attractive investment destinations in the world for international investors, particularly in Europe. Those looking to invest in France have a number of different options, ranging from exchange-traded funds (ETFs) to American Depository Receipts (ADRs). In this article, we’ll take a look at some of the benefits and risks of investing in France, as well as the best ways to build exposure into your portfolio using the many options available to international investors. In this article, we will take a look at why investors may want to consider investing in France and some common ways to gain exposure using U.S.-traded securities. France is the sixth largest economy in the world and the third largest economy in Europe, which makes it a relatively safe place to put money. But as the European Union’s sovereign debt crisis has shown, the country’s monetary ties to others in the E.U. have created some key risks. Investors should take all of these benefits and risks into account before committing any capital. Developed Markets – France houses one of the largest economies in the world with a very developed securities market. In contrast to some emerging and frontier markets, this usually means less geopolitical risk and volatility. Large Companies – France houses many of the world’s largest companies, which usually adds to the lower volatility. Larger companies typically have lower volatility and more predictable long-term earnings power. EU Structure – France is the third largest member of the European Union, which means that it may be responsible for funding large parts of bailouts. During the European sovereign debt crisis, this liability became very apparent. Socialist Tendencies – France has many socialist tendencies that may inhibit some businesses from competing. For instance, the country has a 35-hour work week and a 62-year-old retirement age, which are lower than in many other developed countries. Exchange-traded funds (ETFs) offer investors an easy way to build diversified French exposure into their portfolios. By holding a basket of securities across many industries, ETFs are generally considered less risky than individual stocks with lower beta coefficients. But unlike mutual funds, they can be traded anytime throughout the day like a stock. 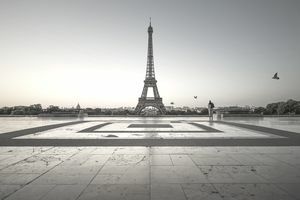 The primary ETF used to invest in France is the MSCI France Index Fund ETF (EWQ), which attempts to mimic all French publicly traded securities. With no sector accounting for more than 20% of the total holdings, the ETF is well diversified with a beta coefficient of 1.1 and an aggregate price-earnings ratio of 16.2x, as of September 2016. Investors look for more direct exposure to French companies may want to look at American Depository Receipts (ADRs) or direct investment on the Euronext Paris. While there are many French ADRs, investors should note that many of these trade on the OTC Markets Pink Sheets, which means they may be less liquid than NYSE or NASDAQ traded companies. France houses the sixth largest economy in the world and third largest economy in the European Union. Moreover, the country holds nearly 40 of the world’s 500 largest corporations, making it a significant location for foreign investors. There are many risks associated with investing in France that investors should be aware of, including the country’s ties to the European Union and its socialist tendencies relative to other countries like the U.S. and Britain. Investing in France can be accomplished using ETFs, ADRs or direct investment in France’s stock exchanges. But it’s important to remember that many of these ADRs trade on the OTC Markets Pink Sheets and may be relatively illiquid.